An historic building at the corner of Sixth & Russell Streets in Covington's Mutter Gottes neighborhood is now home to two growing businesses. 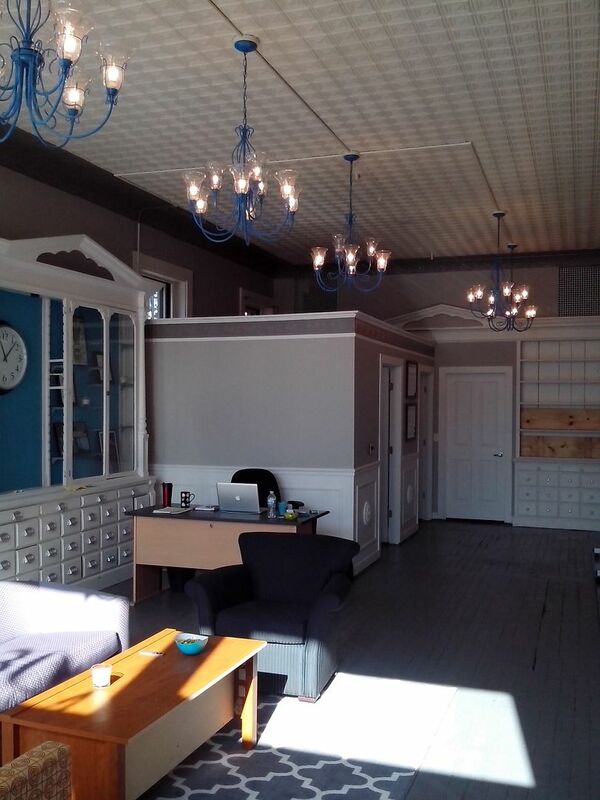 Scooter Media, which needed more space that it had previously at its Mainstrasse Village office, and Spotted Yeti Media, which had operated in Newport, now fill the first floor of what longtime Covington residents will remember as Morwessel Drugs. "Six months ago, clients started picking up, I needed an intern, and we just weren't going to fit in the space," said Shannan Boyer, founder of Scooter Media. 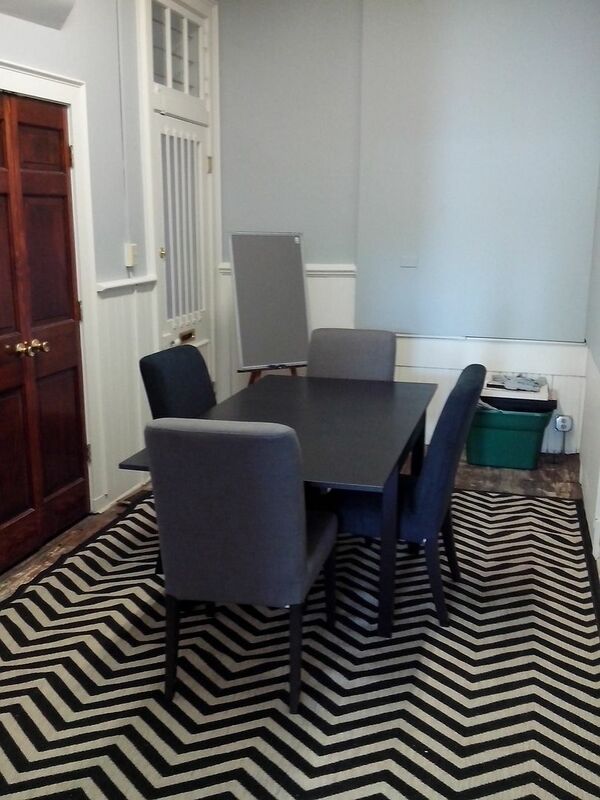 While she enjoyed having her office in Mainstrasse Village (where her husband Marty is president of the Association), the 200 square feet at the corner of Sixth & Philadelphia Streets would no longer be adequate. "Hamelin Square was a perfect place to nest," she said of her former space. She looked for a new space for seven months. "I always knew my business would be in Covington," Boyer said. "My kids go to school here. There was never a doubt of what city it would be in. Covington is in my blood." 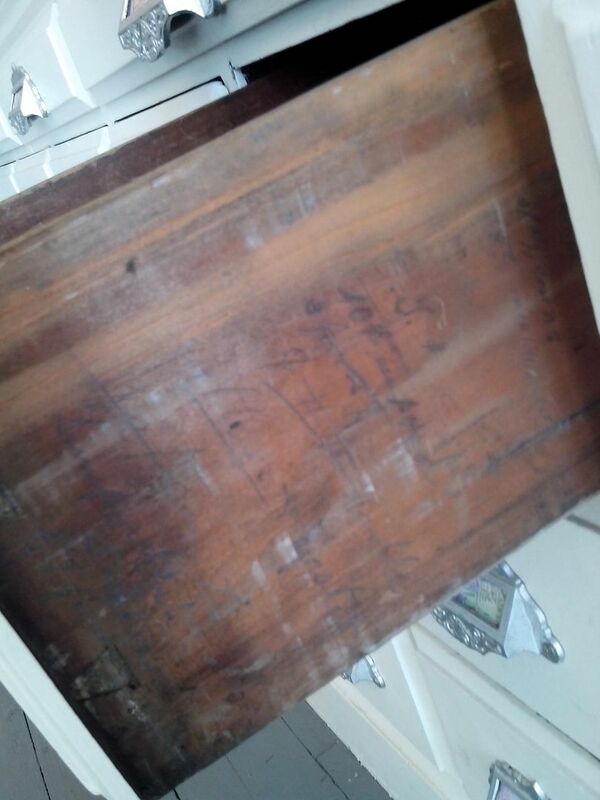 But finding the right space was the challenge. Then came a Downtown Covington event called UpStart, put on by the folks at UpTech, the business accelerator, that drew hundreds of entrepreneurs, both active and aspiring, to Pike Street for an evening of networking and socializing. Scooter Media does work for UpTech and Molly Berrens, executive producer at Spotted Yeti, was in the same office building as UpTech when both were located in Newport. Boyer and Berrens met at UpStart and started talking about their mutual needs for new space and then about the possibility of sharing. "I really enjoyed being in a collaborative environment," Berrens said of her time at the Newport office. "Being with UpTech in Newport was exciting." But when UpTech moved, it was a little quieter. She thought about Cincinnati, but, "The energy is just as great over here (in Northern Kentucky) and more economical for entrepreneurs and start-ups," Berrens said. "I wanted a place where I could grow but still have a low cost. It's between Madison Avenue and Mainstrasse. It couldn't be any better." The timing is also good in that the City of Covington is currently exploring ways to better connect its Downtown business district with Mainstrasse Village, an effort that will specifically target Sixth Street. What those plans may be is not yet known, but in the meantime, the surrounding blocks are full of new, creative and ambitious energy. Greenline Salon recently opened across the street, bioLOGIC (where a cure for cancer is in the works) is less than a block away, and UpTech is now in its new space on Pike Street just around the corner. "I wanted a storefront near other start-ups and near Mainstrasse," said Boyer, who had previously been forced to have business meetings in coffee shops. Now she has a conference room. The two women rent the space together but have a wall separates their offices. However, "Without me (Berrens) has no restroom," Boyer joked. "She needs me." 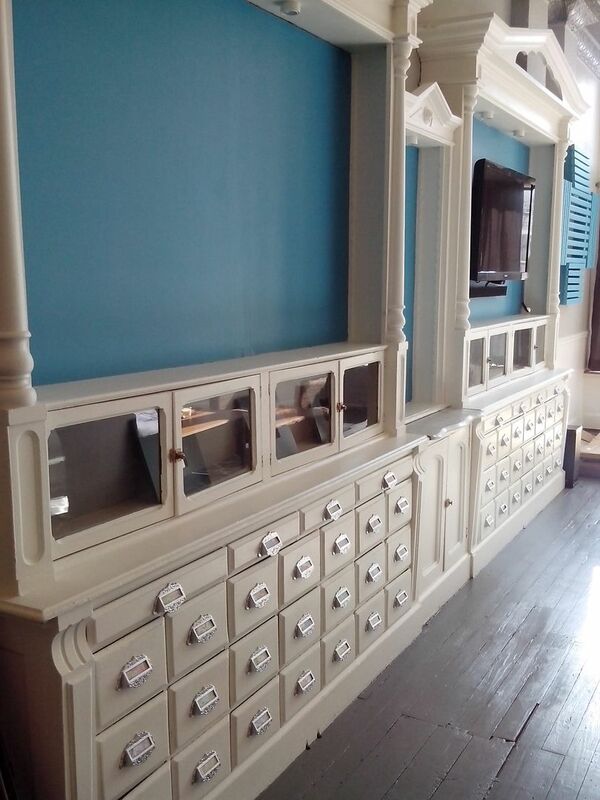 Architecturial details from the Morwessel Drugs years include built-in shelving where drawers still have writing on the side to determine which drugs should be placed inside. 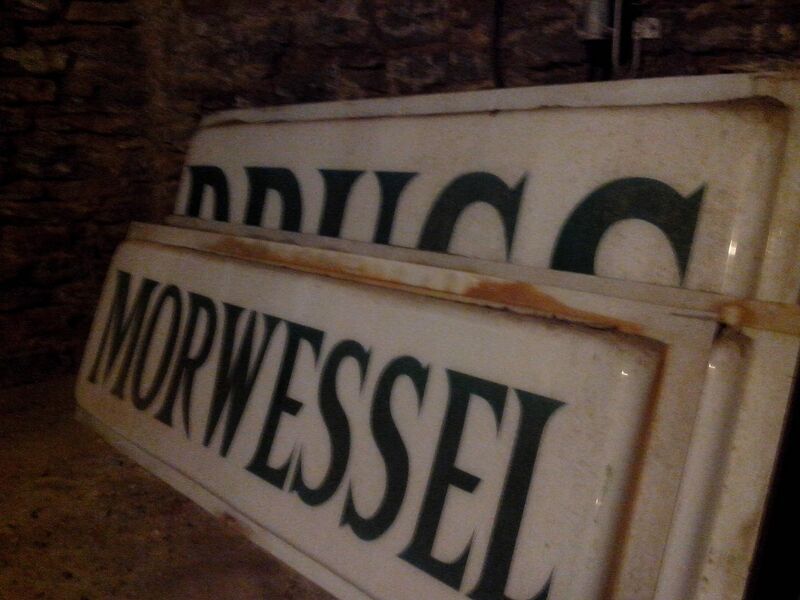 The former sign that hung on the corner is now in the basement of the building where the family-owned business began operating in 1881 before moving through three generations of Morwessels. Now the building is poised for the growth of two twenty-first century businesses. Boyer founded Scooter Media a year and a half ago after serving as communications director at The Carnegie and working in agencies in Cincinnati for several years. Now she handles public relations through her own business and counts The Carnegie as a client. The name Scooter derives from her husband's experience in returning from Cannes, France, really excited about scooters that were ubiquitous there. "Scooters are the most effective and efficient vehicles out there," Boyer said. "I wanted to bring that same principle to my work for small and medium-sized businesses." Berrens founded Spotted Yeti around the same time Scooter got started. She produces short-form marketing videos from five to thirty seconds for web or live shows.Her previous experience includes work on BMW promotions in the New York City area and live event production with a Columbus, Ohio company. The name is something she and a partner came up with to help them stand out, an idea that Berrens incorporated as the company's slogan: "Show the world you exist".